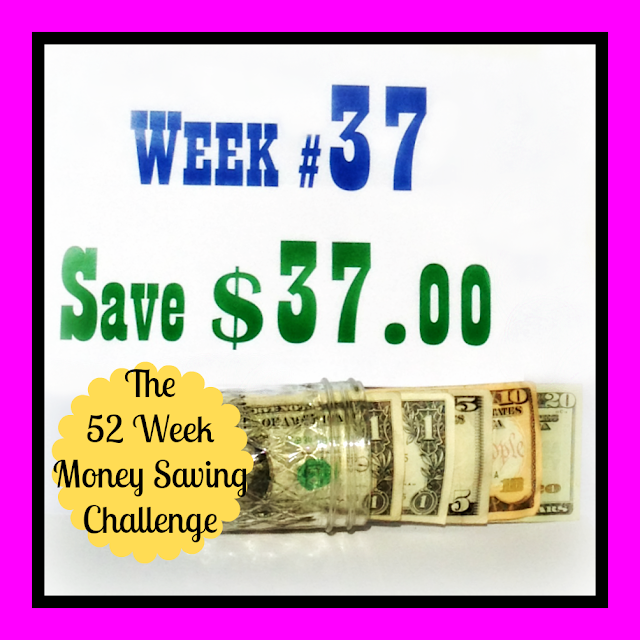 Welcome to Week #37 of The 52 Week Money Saving Challenge. This week we save thirty-seven dollars. Our total saved has now reached seven hundred and three dollars. Wow! In the Week #36 post I mentioned our east Texas family vacation. We had a marvelous time despite a few little challenges. A piece of truck tire debris wrapped around our boat trailer fender and pulled it loose. 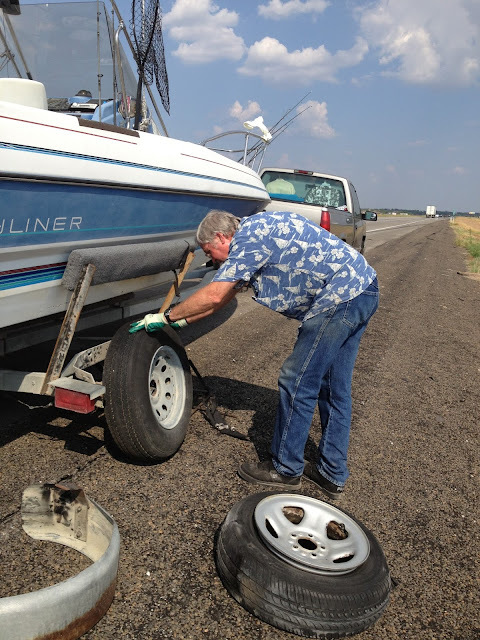 The fender then cut open the trailer tire and we had a flat. We were on 1-20 east of Dallas and of course the outside temp was 100+ degrees when it happened. The tire rim and metal pieces were so hot he had to wear gloves to avoid blistering his hands. Fortunately, HUBBY is a whiz mechanic. He was finished with the fender and tire change and we were back on the road in less than 15 minutes! My hero. HUBBY, fixed this flat so fast! The Villages has a lovely little floating Fishing Pier.We enjoyed fishing with our two oldest daughters and four of their five children. (The baby, SITTING BULL, was too little to fish.) HUBBY is an avid fisherman. 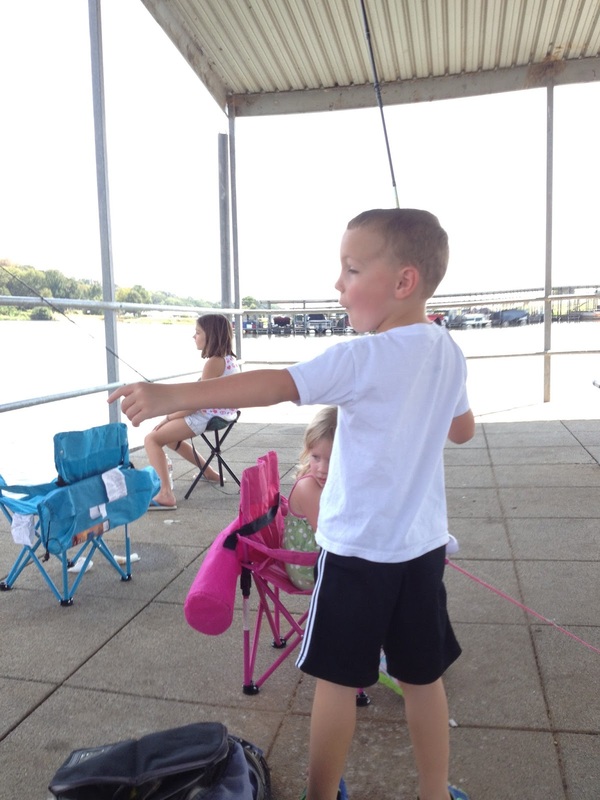 We enjoyed watching the grands learn to fish! Here's a handy free printable year-at-a-glance 52 Week Challenge Chart from Stuck at Home Mom to help you stay up to date. If you're new to the Challenge, welcome aboard! You can start with thirty-seven dollars this week and add a bit extra each week if you want to catch up with us. Alternatively, you could begin this week as Week #1 with one dollar. Whatever works best for you is fine. Happy saving!